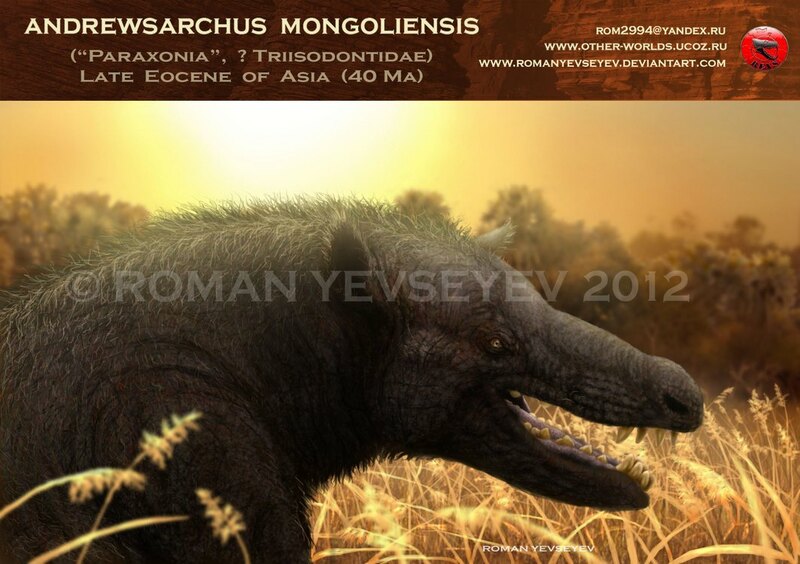 Andrewsarchus was a mammal which lived approximately 48 to 41 million years ago during the Middle Eocene Period. 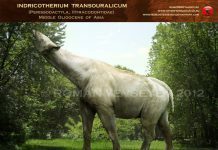 It was first discovered in Mongolia by Kan Chuen Pao in 1923. It was later described and named by Henry Fairfield Osborn in 1924. Its name means “Andrew’s ruler” – in honor of the leader of the expedition, naturalist Roy Chapman Andrews. One of the most fascinating facts about Andrewsarchus is that it is only known from a single skull. 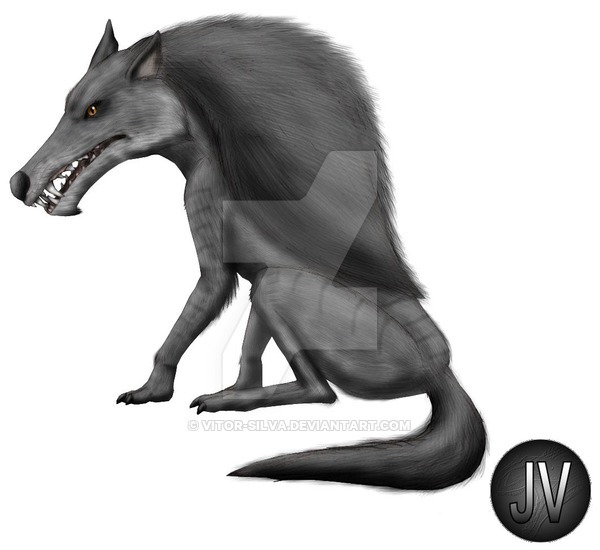 This skull, which looks very much like a wolf’s skull, is about 3 feet tall and exhibits all of the requisite markers needed to label this animal a mammal. 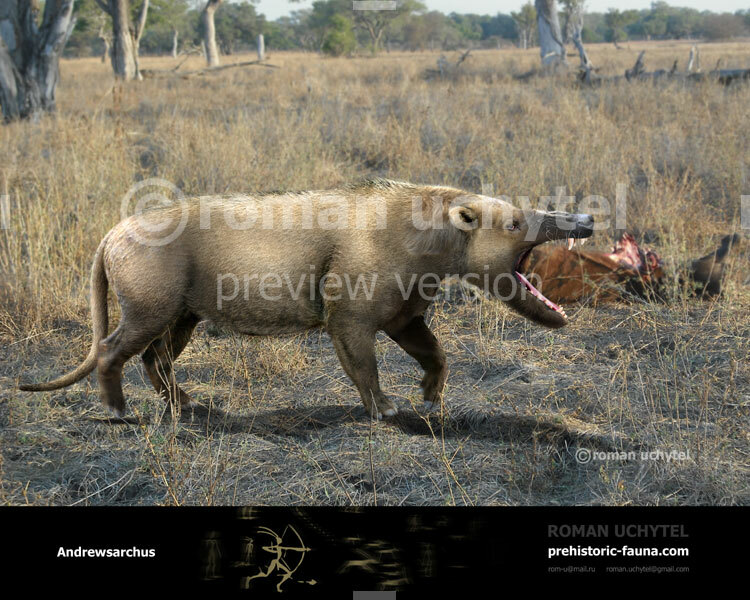 Andrewsarchus pictures show this animal as a canine with a long snout and a striped or spotted fur. 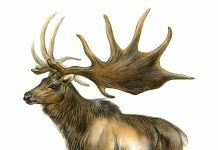 While it wouldn’t have been known what color the fur of this animal was, scientists can guess at the size and demeanor of this animal based on the size of herbivores in the area which lived at the same time and by extrapolating the size of its skull. While it can’t be proven at the moment, it is believed that Andrewsarchus was about 6 feet high at the shoulder and about 12 feet long. That would make its weight anywhere from 500 to 1,000 pounds. 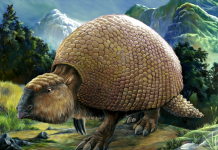 However, paleontologists are the first to caution that at this moment no realistic inference of its size can be made. Until more fossil data is collected, it is all just currently a guess. 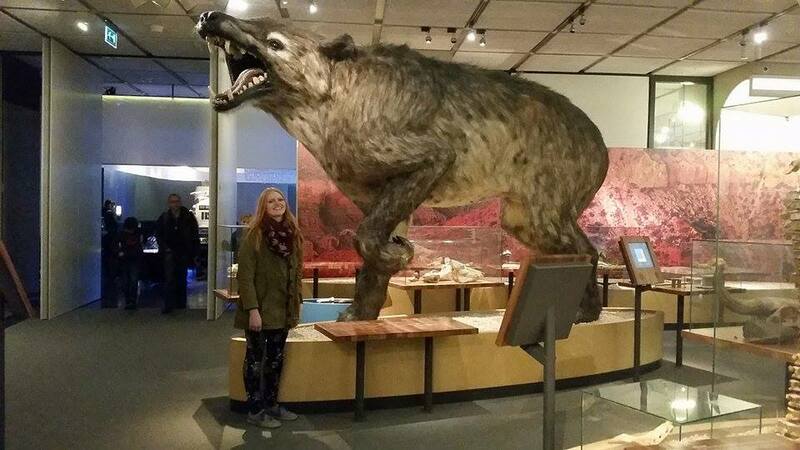 However, if it was this size, then that would mean that Andrewsarchus was the largest carnivorous mammal to have ever walked on the solid ground. 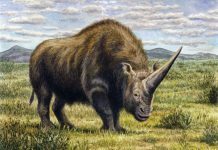 It would have been an absolute terror to the herbivores at the time. 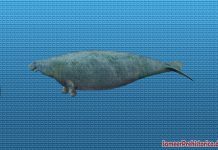 It also would have had a large hump on its back to anchor its huge head to its body. Another fact about Andrewsarchus – one that is more based in scientific fact – is that this carnivore had enormously powerful jaws. Otherwise, there is just no reason for such a large skull. However, scientists currently don’t know how powerful its bit might have been. 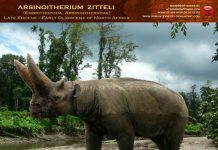 Since it was discovered along the shoreline, it has been theorized that this animal may have used its powerful jaws to eat turtles and mollusks.